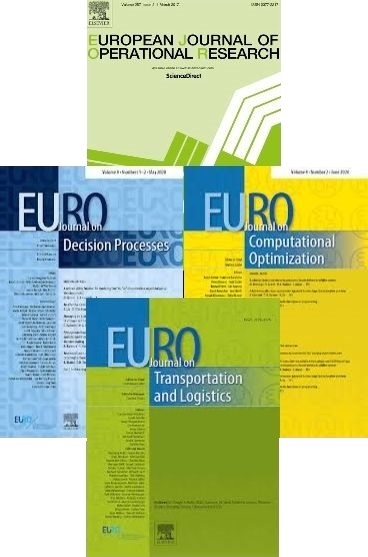 The EURO Doctoral Dissertation Award (EDDA) was introduced in 2003 and recognizes the OR contributions of PhD students or scientists having less than two years research experience since completing a PhD. The entries will consist of doctoral dissertations that were completed after the competition deadline of the previous EURO Doctoral Dissertation Award. The dissertation must have been defended at an European University and the author must be a member of an EURO member society. A short-list of finalists are invited to present their work in a special session of the EURO-k Conference. The winner is determined by the jury at the end of the special session and is announced by the chairman of the jury during the closing session of the EURO-k Conference. Only one award may be made on each occasion.